Properties：White microdot powder with luster, melting point at 622℃, easily soluble in water, with remarkable chelating ability to some metal ions such as Ca2+, Mg2+, can soften hard water, change suspension into solution, alkalescent, without causticity. 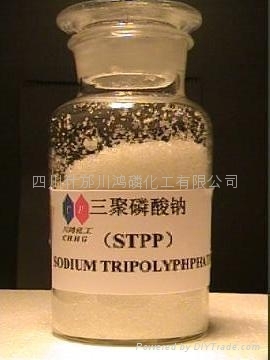 Applications:Used as main auxiliary of synthetic wash, soap synergistic agent, water softener, leather pre-tanning agent, dye auxiliary agent, and dispersant of suspension such as paint, kaolin, magnesium oxide, calcium carbonate drilling mud, preservative agent for paper making, organic synthesis catalyzer, and used in epuration of petroleum product, gum latex storage, as dispersant, solvent in metal industry and pharmaceutical industry, also widely used in gum synthesis, foodstuff industry, and poultry process. 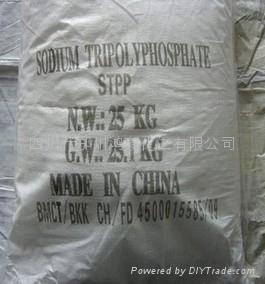 Packaging: plastic-woven sack with polythene inner bag, net weight 25kg, 50kg or 1000kg; keep away from water or moisture, do not pile up the open air.